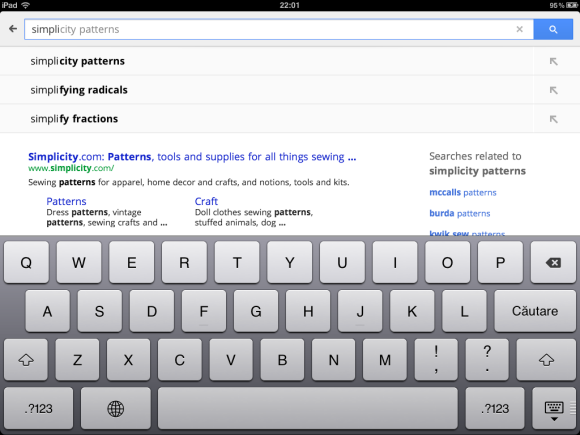 Google's search app for iPad needed an update. 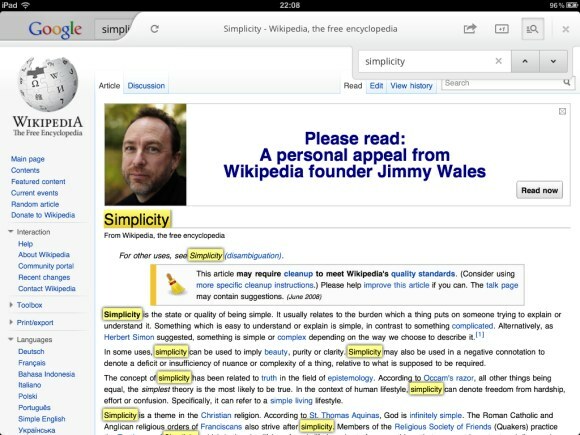 That was especially obvious if you installed the Bing app, probably the best search app for iPad. Now you can try the latest version of Google's app, which adds a lot of useful features on top of the regular web interface. "We have added new features to make the app more interactive, more visual and to help you find what you want more easily," explains Google. You'll see the results faster because Google Instant is enabled by default. Once you've clicked a search result, you can +1 the page, share it or highlight one or more keywords. To go back to the search results page, click the Google logo or slide the page to the right. 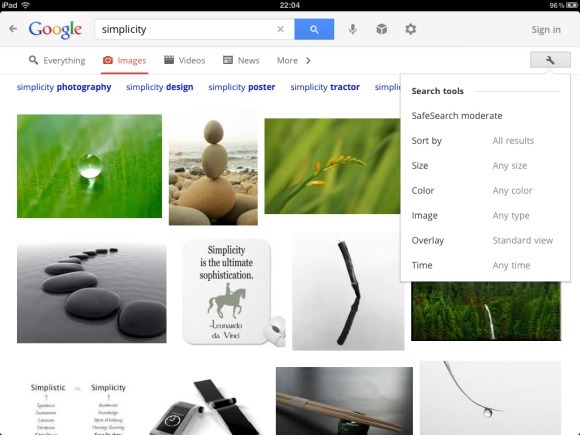 Google Image Search lets you see the results in a slideshow, an improved version of the similar feature from the mobile interface. "Tap on any image result to use the new image carousel, which lets beautiful images shine. 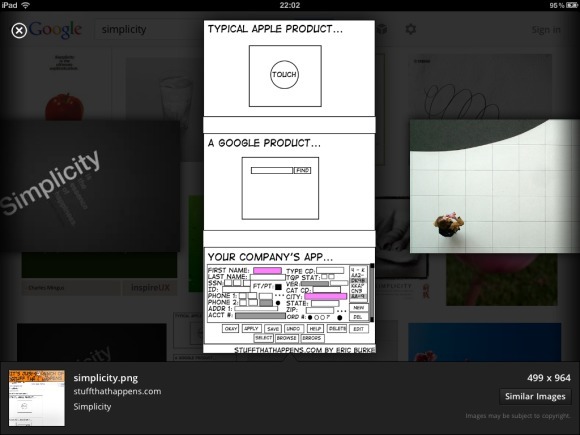 You'll see the image you selected expand, and you can easily swipe through the carousel to see other similar images." There's also a new interface for Instant Preview that lets you explore the list of results in a visual way. The same interface is also used to display the search history. The app is available in the App Store, but you can only install it if you've updated the iPad to iOS 4 or iOS 5. It's a major improvement, but the Bing app is still more fluid, has more features and it takes advantage of the iPad's capabilities to display maps and local search results. 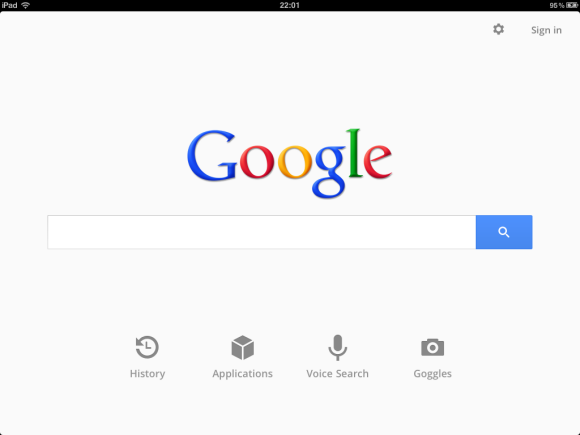 The new Google Search app for iPhone and iPad. 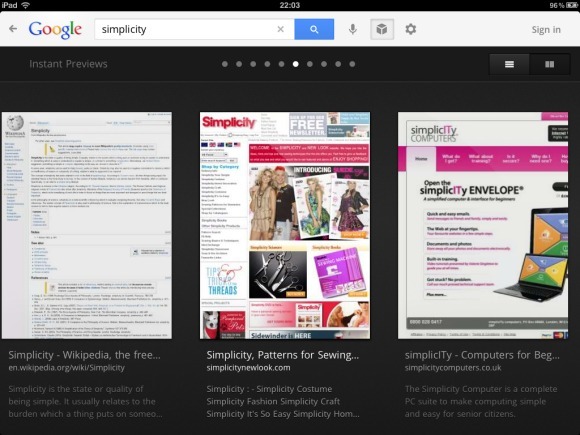 Search the web faster and easier with the latest Search app from Google. Can I view apps > docs offline on iPad?